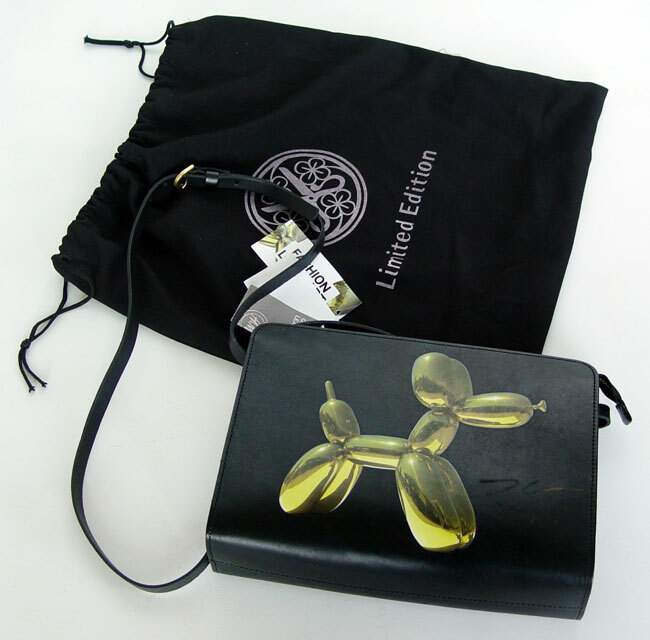 This limited edition Balloon-Dog-on-leather-bag was only carried in select stores across the United States and not in Europe or Asia, including Los Angeles, Chicago and Dallas. The 15th of July 2014 was the opening day of H&M’s newest Fifth Avenue flagship store in Manhattan, New York. 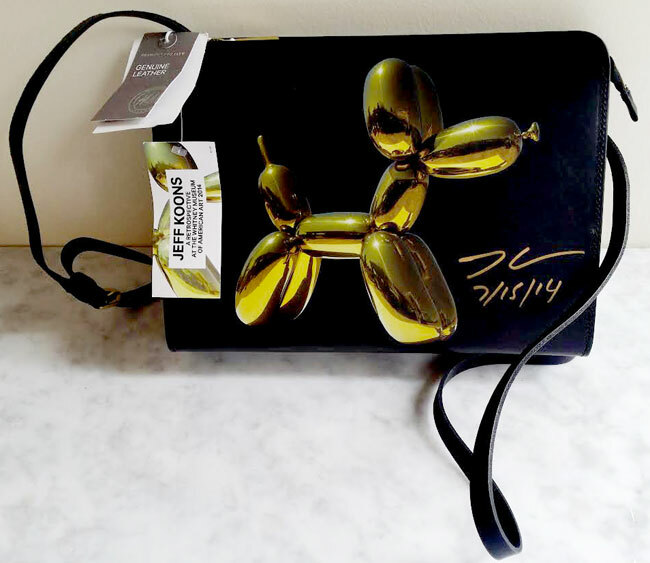 The regular edition was put online at the company’s site hm.com two days later on July 17th, 2014 and was sold out in minutes. After several years the gold felt pen ink oxidizes and starts to discolour. 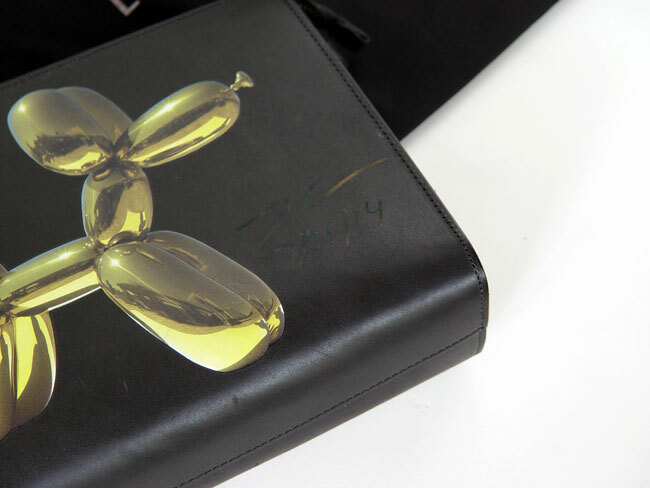 Nevertheless the dark signature at the top is by the artist….